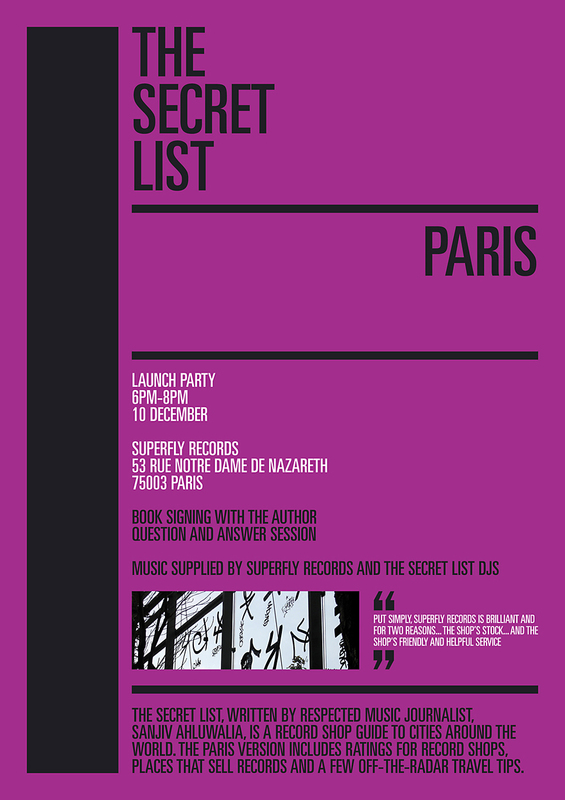 The Paris edition of The Secret List is getting a swanky book launch in December at the excellent Superfly Records. I’ll be there to talk to anyone about the design of the books, but more importantly than that, the author will be there to discuss the project. There will be a book signing session, a Q&A and some good records played. It is a free event and all are welcome. Books will be on sale and the record store will still be open for business, but if you can’t wait until then you can buy the book here.